As a human being I am sometimes overwhelmed by simple realities. I absolutely love the Shaker song, Simple Gifts (I think I tear up everytime our Tennessee Ladies Chorus sings their beautiful arrangement), as it captures an expression of thanks and praise that resides deep in my heart. God is so gracious to allow us to live with the deep joy of simple gifts. Many of these gifts are accentuated in this season of the year as we gather with family and experience the warmth of human love, the unbridled excitement of children’s response to surprise, the satisfaction of favorite foods prepared by caring hands, the peaceful rest of casual conversation, and memory making of raucous laughter. As overwhelmed as I am by God’s kindness and grace expressed in these simple gifts I am also reminded this time of year of the truths that are so large, so incomprehensible and pregnant with mystery that I can only begin to accept them into my mind and heart by faith. 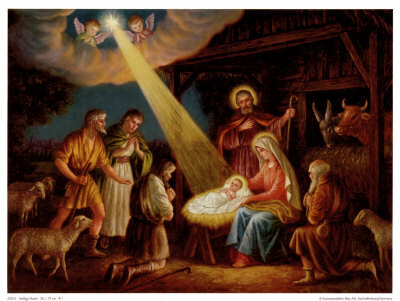 The Incarnation and the dual nature of Jesus Christ, Creator, Messiah, and Lord, yet son of Mary, brings me to my spiritual knees and causes my spirit to cry out to the Christ of Christmas, in both Kyrie eleison, (Lord, have mercy) and Gloria in excelsis Deo (glory to God in the highest)! I pray for you this Christmas a strong sense of gratitude for the simple gifts and the unspeakable gifts given to us by the Lord. I pray for you voice and opportunity to sing and celebrate the One who has given these great gifts, and what’s more, desires to have fellowship with us. I pray you will sing and speak of Him in your homes among your families that you love so dearly, and that you will boldly declare His praise in your sanctuaries among fellow believers, and in the public square proclaiming His love to those who need to know His Gospel of peace! People of the Ascension, Sing! One of the awesome responsibilities you have if you lead the worship singing in your church is the responsibility to direct worshipers’ attention to the very presence among them of the One they worship. How different would worship be if people were more fully aware of the presence of Christ? Advent is a time of anticipating the coming of Christ. Oh that our churches would know He has come, we await His return, and He is here in the power and presence of the Holy Spirit. He lives in us! 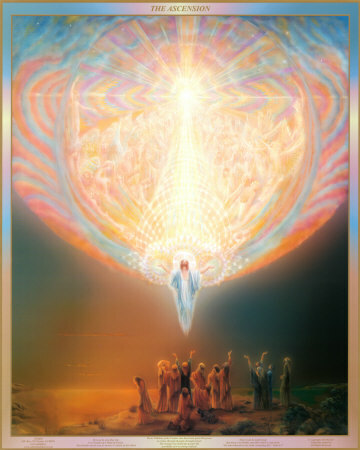 We are people of the RESURRECTION, of course, but we are also PEOPLE OF THE ASCENSION. The Ascension of Jesus should remind us that He has taken His place at the right hand of the Father, and has sent us His Holy Spirit to live in us. At the very end of the Gospel of Luke we have an accounting of the Ascension of Christ. In Christ’s ascension the stage is set for the birth of the Church. The coming of the Holy Spirit to give us power. To reside in us – and He is in your people now!!! He is with us – in us – filling us! That means HE SINGS WITH US! You realize that if He is with you then whenever you hear Christmas music, He hears it with you. Better yet, when you sing the Christmas story, He sings with you and even through you! Ron Man reminds us, “The crucified, risen and glorified Savior has accomplished His saving work, but that does not mean that He has gone into a sort of ‘cosmic retirement.” Christ sent the Holy Spirit, who is fully God (Father, Spirit, Son are One). He is in us, active in our lives, and thus in our worship. Oh that we could know that Christ lives in us through the power and presence of the Holy Spirit. Furthermore, Heb 8:2 reminds us that Jesus is our Worship Leader!!! In Barbershop Quartet singing singers sometimes speak of the “Fifth Voice.” This is in reference to an acoustical phenomenon that occurs when the harmony is so well blended that singers hear overtones that sound as yet another layer of voice over their singing. What a powerful metaphor for us! In our singing there actually is “another voice” – it is the Worship Leader, our High Priest, Jesus singing with us worshiping the Father. The Holy Spirit is alive in us. This is why we should sing differently!!!! John Calvin says of Heb 2:12, that it reminds us that Jesus is the leader of our hymns. Merry Christmas, Brothers and Sisters! Let Christ be born in you (and sing through you) today!